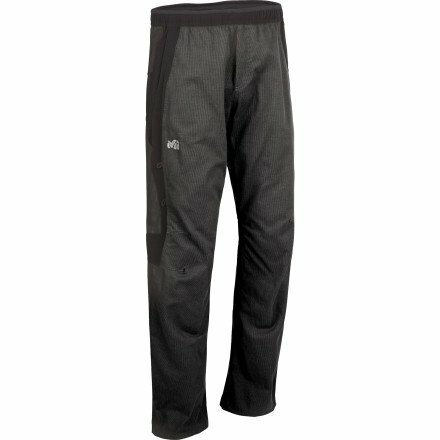 This climbing-specific pant keeps you ready to go to war with any route. Smart-Blend fabric offers moisture management and durability, and a four-way stretch panel at the back waist allows unrestricted leg extension for difficult-to-reach moves. Millet's Climbing Fit includes pre-shaped knees, a relaxed cut, and a gusseted crotch for comfortable mobility. The flat waistband won't interfere with your harness, and it's adjustable so you can dial in a secure fit.